Happy Holiblaze y’all! 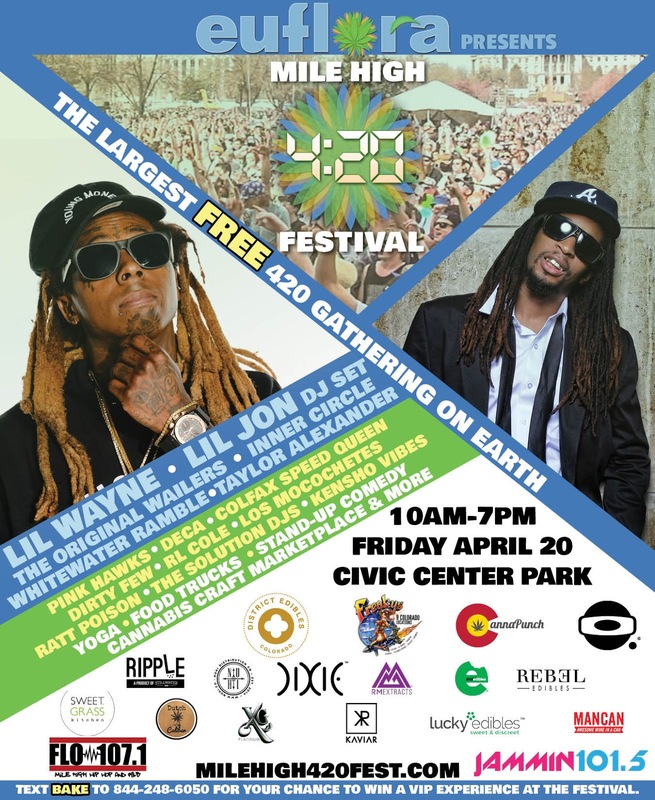 The Mile High 420 Festival, formerly known as the 420 Rally, is the largest FREE 420 event in the world.  This year’s festival will be promoting the celebration of the 4/20 holiday and kush culture. It’s a place for you and your homies to link up with other cannabis culture advocates for a blazin’ time. There will be live celebrity and local performers, food trucks, yoga and fitness classes, beer gardens, comedians, cannabis vendors, and more! Alright, alright the celebration is on April 20th, 2018 and the festivities will spark up at 10AM going through 4:20 until 7PM. Grab your buddies, blankets, and game face and head to Civic Center Park in Denver, CO. You can roll up to this event for FREE, just remember to register for your free ticket before they’re all gone! Now that you’ve copped that golden ticket, let me tell you what’s going down at the festival. There’s going to be three stages with live performances and activities all day featuring mainstream artists like Lil Wayne, Lil Jon, Inner Circle, The Whalers, and Whitewater Ramble. 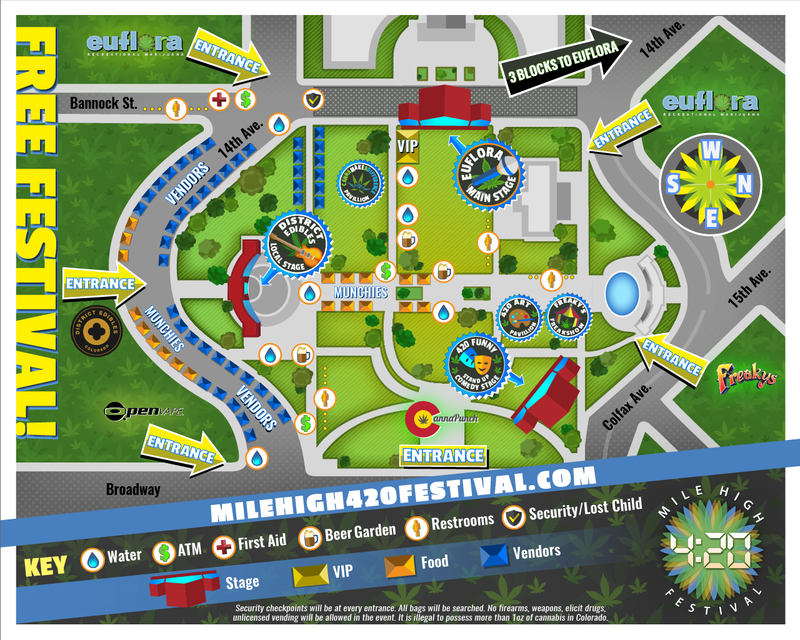 Each stage has a different vibe to it -- you can hit the Euflora main stage for celebrity performances and get turnt, the District Edibles local stage to support local performers, or the 420 Funny stand up comedy stage for some yoga and a good laugh. When your good friend munchie starts knocking, you can walk your way over to munchie alley. There will be mad food trucks and cannabis vendors waiting for you and your crew. And if you happen to get thirsty on your way over there are multiple beer gardens and water stations around the park! 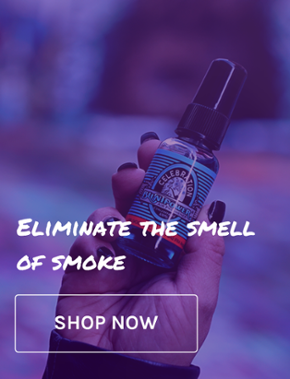 Once you are done with the festival, make sure to have your BluntPower ready to go. With just a couple sprays, you can get the strongest smells out of the car you came in, or any place for that matter.